Founded in 1901, W&H Peacock is one of Bedford’s oldest businesses. The auction house has been conducting weekly auction sales in and around Bedford for over a century. Woods Hardwick was approached by the owner, Mark Baker, to review their existing operations and design a new bespoke auction facility that responded to modern auction house requirements and provided their loyal customers with an auction experience unlike any other. A collaborative working approach to this scheme was essential in ensuring that W&H Peacock realised their ambitious plan to relocate their existing town centre facility to an out of town location that provided improved customer amenity, without losing any of the excitement that accompanies a day at the auction. Our planning team secured detailed planning permission for a bespoke auction house building of circa 2,300 sq.m. size for W&H Peacock, overcoming planning policy issues in the process. Our architecture team then worked hand in hand with the client, to ensure both the external building design and the internal layout successfully fused with the operational requirements of the business, yet still with a sense of the grand occasion. 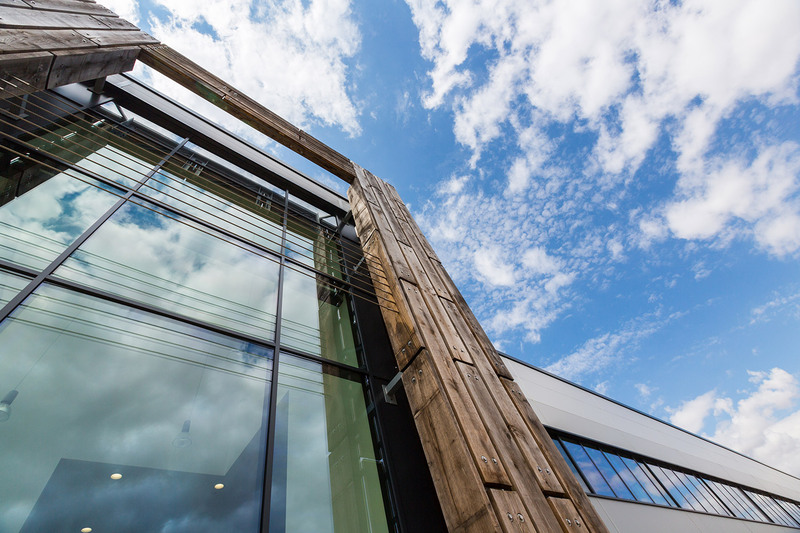 The striking main entrance feature has been formed from green oak sleepers and provides a tactile counterpoint to the sleek modern surfaces found on the main building shell. 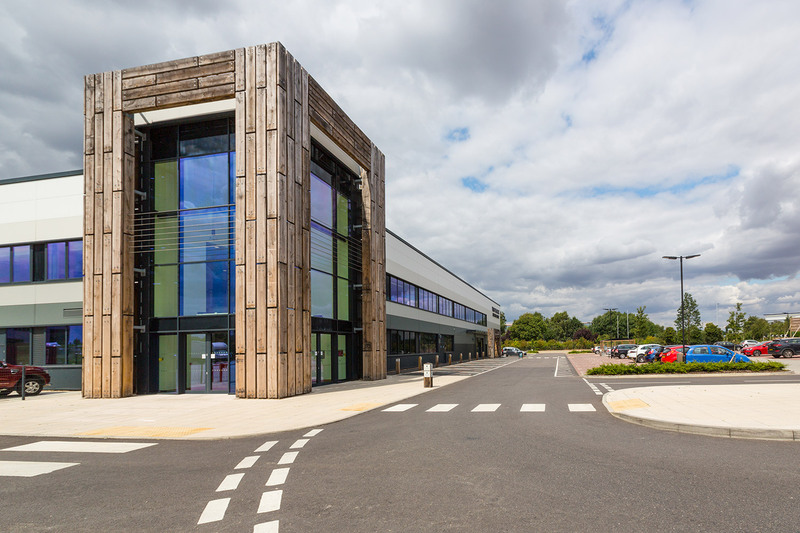 This is a great example of the core disciplines of Woods Hardwick working together to provide integrated planning, civil engineering and architectural consultancy services to deliver this stunning landmark building in Bedford.